On 3rd and 4th March, 2016 Skopje, Maced onia hosted the Final Youth Forum: Representation of Minorities in the New Media (http://www.mladiinfo.eu/wp-content/uploads/2016/04/info3.pdf). It brought together around 50 young people from 14 countries. At the meeting were presented results of monitoring the media in Bulgaria, Macedonia, Greece and Croatia. Participants had the opportunity to share experience on various studies on the topic, and discuss prospects related to the media coverage of ethnic minorities, sexual and gender minorities, refugees and others. Gergana Kutseva, representative of the Media Development Center, presented the results of the research conducted in Bulgaria. 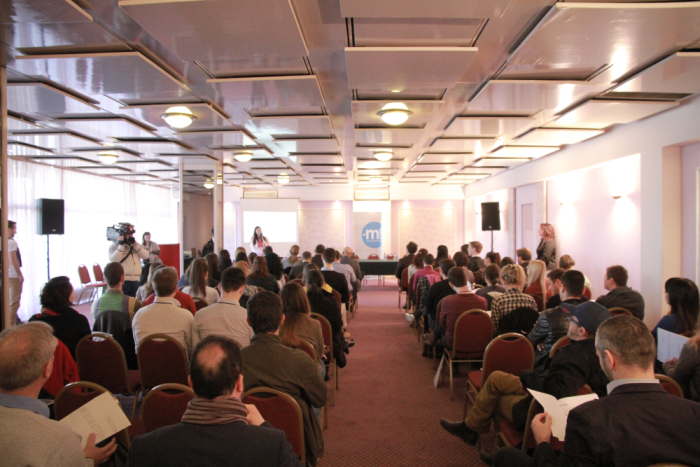 Before the final youth forum, three other youth forums took place: in Buje, Croatia (10-11 May 2015), Chania, Greece (4-5 September 2015), and Sofia, Bulgaria (4-5 December 2015). The project Youth Challenging Diversity: Representation of Minorities in the New Media was supported by the Europe for Citizens programme. For more information about the international survey, please check here. From 9th to 11th of September 2011 Media Development Center, Sofia (MDC) in partnership with the South East Europe Media Program of Konrad Adenauer Foundation, Sofia (KAS) conducted the third seminar for this year. The seminar “The Future of the EU: Regional Decisions and Global Challenges“ was aimed at enhancing the professional competence of the participants on the EU current challenges, solutions and perspectives.